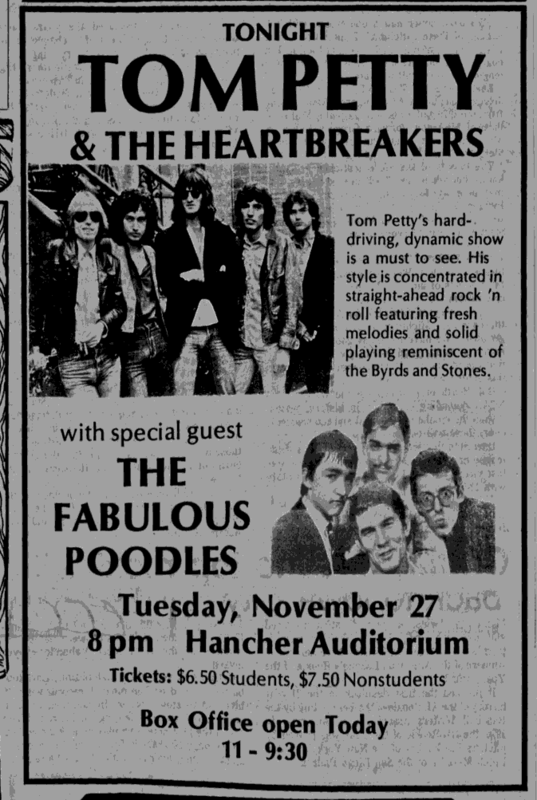 Since then, the group's music has been labeled as everything from outlaw urban blues to melodic hard rock and, like many new artists, the Heartbreakers have been compared to the likes of Dylan and the Stones. 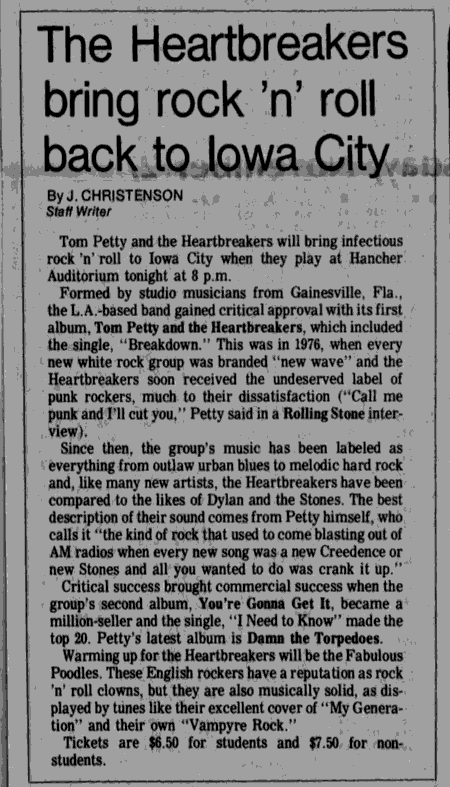 The best description of their sound comes from Petty himself, who calls it "the kind of rock that used to come blasting out of AM radios when every new song was a new Creedence or new Stones and all you wanted to do was crank it up." Critical success brought commercial success when the group's second album, You're Gonna Get It, became a million-seller and the single, "I Need to Know" made the top 20. 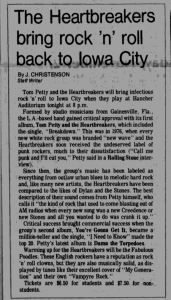 Petty's latest album is Damn the Torpedoes. 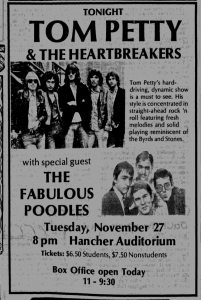 Warming up for the Heartbreakers will be the Fabulous Poodles. These English rockers have a reputation as rock 'n' roll clowns, but they are also musically solid, as displayed by tunes like their excellent cover of "My Generation" and their own "Vampyre Rock." Tickets are $6.50 for students and $7.50 for non-students.